Purchasing an older home was a huge decision for us. Mike walked us through every aspect of the inspection and helped us come to an informed decision about the house. His combination of expertise and technology set him apart from other inspectors we had spoken with. Having a professional like Mike on our team gave us a degree of security that is priceless! My name is Mike McPherson and I am an InterNACHI Certified Professional Inspector (CPI). It would be my pleasure to help you make a more informed decision about buying or selling your home. For over 30 years, I have been married to my best friend, Teresa McPherson. We live in Maryville, Tennessee where we enjoy hiking, fly fishing, beautiful drives, wonderful people, and nature in one of the most gorgeous places we have found in America. With the Great Smoky Mountain National Park just a few miles from our house, living here is a dream come true. East Tennessee is our home. Teresa and I enjoy being involved in the community. We are volunteers for various organizations in Blount county and proud members of the Blount County Chamber of Commerce. My journey to becoming a home inspector is a bit unique and brings a wealth of experience to better serve you. I hold a Masters of Business Administration degree from Belhaven University. I am licensed as a home inspector in Tennessee, a member of InterNACHI (the worlds largest home inspector organization and a world leader in the home inspection field), and a member of the International Association of Certified Indoor Air Consultants (IAC2). I am Infra-Red Technology Certified and make use of this important tool on every home inspection at no additional charge to my clients. I have a strong knowledge of construction and what makes a good building. 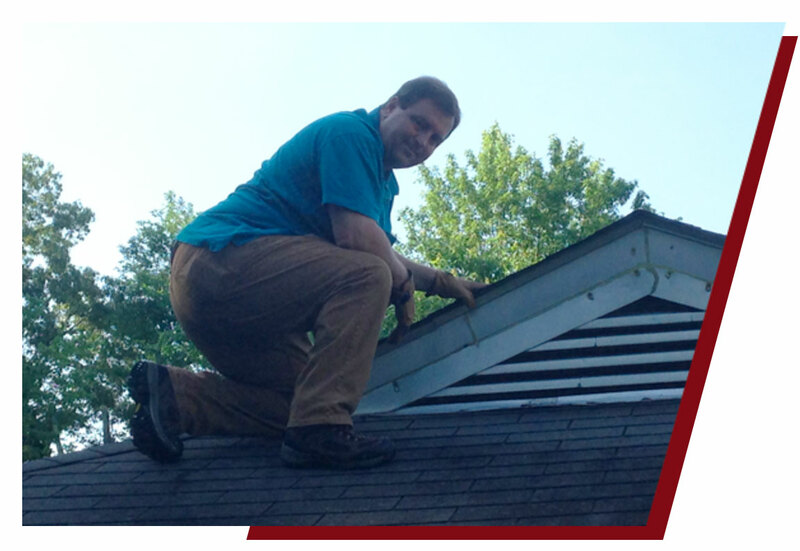 I have an ongoing passion to continually increase my knowledge of the home inspection industry in order to provide the best job possible for my clients. I enjoy helping first time home buyers better understand the sometimes unfamiliar issues a home inspection can uncover. I feel it is my duty to listen, to always put the client first, and to help others. Helping homeowners understand and make informed decisions about what may be the largest purchase in their lives is fulfilling and a responsibility I take very seriously. I have dedicated myself to being the most qualified, best trained, and most reliable inspector available. Making use of advanced technology, training, and experience enables me to provide a high-quality report for you. Whether you are buying or selling a home, a quality home inspection can help you make more informed and better decisions about the transaction. I look forward to serving you.